This 13 oz. 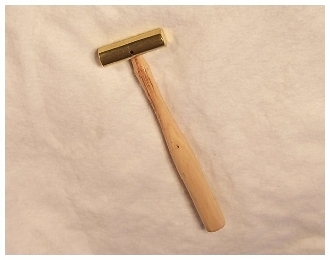 1-1/8" brass head is secured with a spring pin to straight grain hickory handle. This non-marring hammer has a multitude of uses and is popular in gunsmithing, aerospace/aviation, automotive, jewelry, and speciality home use applications.